Bradley Monceaux, 91, of Beaumont, died Tuesday, November 6, 2018, at Harbor Hospice, Beaumont. 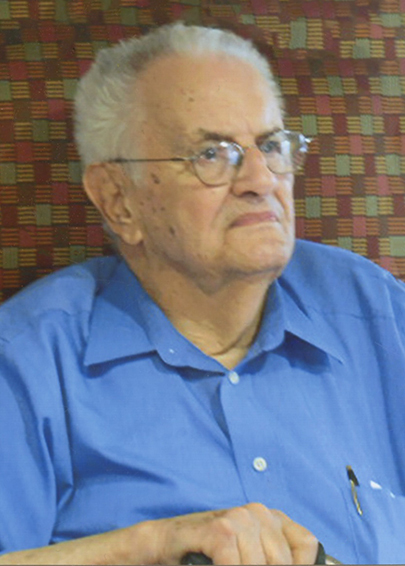 He was born on February 18, 1927, to Zoah Prudhomme and Sylvester Monceaux. Bradley was a United States Navy veteran, having served in World War II. He was a retired production manager. Bradley is survived by his daughter, Cindi Johnson and her husband, Cliff, of Beaumont; sister, Wanda Macaluso, of New York; grandsons, Cliff Johnson, Jr. and his wife, Amber, of Lumberton and Brad Johnson, of Chicago; and great-grandchildren, Mallory Johnson and Drake Johnson, both of Lumberton. A gathering of Mr. Monceaux’s family and friends will begin at 1:00 p.m., with his funeral service at 2:00 p.m., Friday, November 9, 2018, at Wesley United Methodist Church, 3810 North Major Drive, Beaumont. His interment will follow at Forest Lawn Memorial Park, Beaumont, under the direction of Broussard’s, 1605 North Major Drive, Beaumont. Memorial contributions may be made to Wesley United Methodist Church, 3810 North Major Drive, Beaumont, Texas 77713. I am so sorry to hear of Brad's passing. He was such a kind, gentle soul. He was totally devoted to his beautiful wife. I feel like he is united with her again.